I saw this idea on someone's blog (I'm pretty sure it was Neely's because she always comes up with the best blog ideas) a while back and thought it was a cute idea! 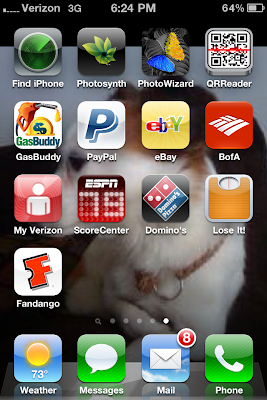 So, here I am... letting you see my apps! I downloaded Spotify without realizing that you needed an invite to be a member. If anyone wants to send me one, feel free. 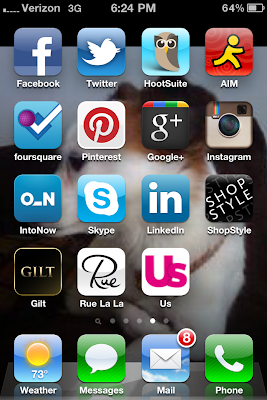 Instagram - in love with this app... love, love, love! 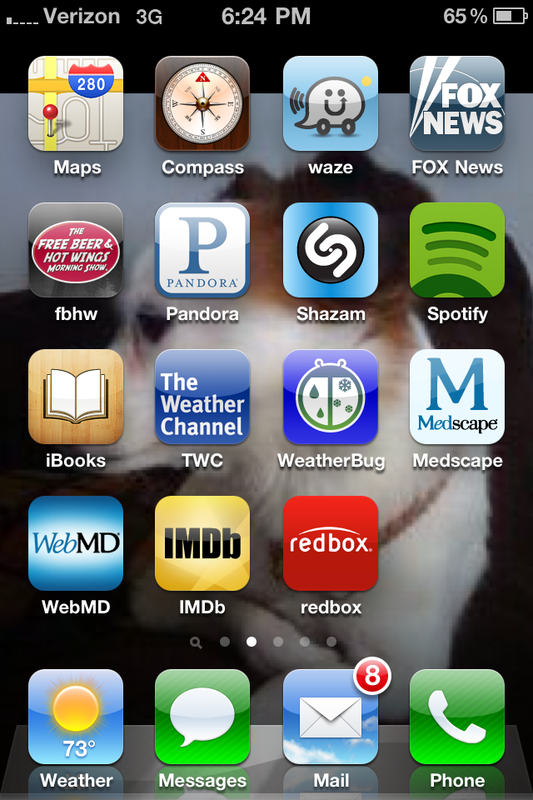 Did you know you can put your apps into folders? 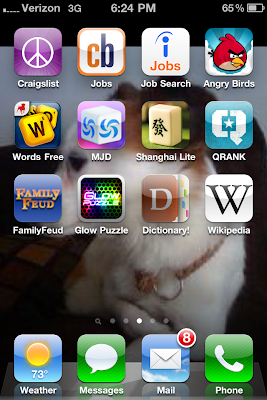 I love instagram and glow puzzle! Family Feud is my fave! Mine actually looks a lot like yours with the addition of Twitter and Bejeweled. Like Whitney said, the folders are pretty sweet!